Top 5 exterior siding options: Vinyl Siding, Wood, Brick, Stucco, and Hardie Board. Although Asphalt is the most common roofing material, homeowners have many choices in color and quality grade. Slate or Tile roofs can offer a look of elegance and sophistication that make a statement for your home and enhance curb appeal. Metal roofs can be cost effective and low maintenance, they can be great for winter months as they resist the buildup of ice and snow. GDC Contracting provides quality roofing services for both Residential and Commercial Roofing jobs. There is no job too big or too small. Vinyl is undoubtedly the most popular siding choice, with its versatility in color choices and lifespan. It needs no painting or maintenance and will not warp or twist. Consider the architecture of your home and the added value other aesthetic siding products will bring to your home. Other choices include: Brick, Wood, Stucco or even Hardie Board. Wood shingles and clapboard can add charm which can be painted or stained to suit your tastes. Hardie board or Hardie Plank can be an excellent alternative to Vinyl or Wood Siding, offering the best of both worlds. While not maintenance free, it does not have to be maintained and painted as often as wood, and comes pre-finished. Energy efficiency, cost, durability, and function are all factors you must consider when replacing your windows. Just like siding and roofing, there are many material choices to consider, such as Wood, Vinyl, Aluminum and now Fiberglass. When it comes to home improvement projects, upgrading your windows has become the most popular. It is all about energy efficiency, the various materials while offering cost savings upfront may need consideration over the life of the window and your plans for future updates. 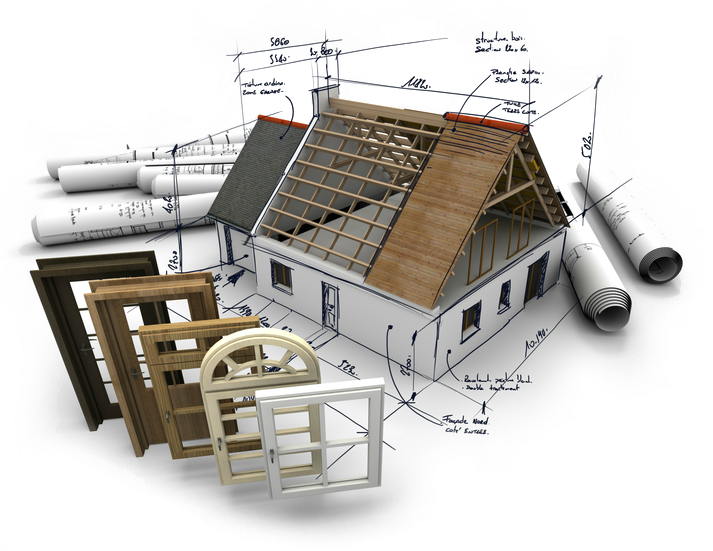 Remodeling can be done out of necessity or for increased value in your home. Some of the top remodeling projects that provide the highest return on investment for your home are: Kitchen and Bath Remodeling, Garage Additions, Decks (New and Refinished), and Attic or Finished Basements. No matter how big or small the remodeling project, GDC Contracting can do it. We are a family owned and operated business for more than 51 years in Bergen County. When you want the job done right the first time, you call GDC contracting. We are GAF certified which means we are properly licensed, fully insured, committed to ongoing professional training and we have a proven reputation. Our priority is to ensure your total satisfaction. Your experience with GDC Contracting will be worry-free and hassle-free. We stand behind our work and craftsmanship. It is said that you get what you pay for, and with GDC Contracting, what you get is a job well done to last for years to come. Most people think that a new roof is nothing more than just nailing up some shingles. GAF® roofing contractors know better — so we recommend the highest quality materials to prevent common problems like leaks and water damage. Choose a fully licensed and insured contractor with experience. GDC Contracting is dedicated to providing a quality product to our customers. Our responsibility is to guide our clients and provide solutions that fit their needs. We take great pride in our craftsmanship and a quality job. Accredited Business with the Better Business Bureau (BBB), GAF® roofing certified, AAA Affiliation, and Angie's List. Always choose a licensed and insured contractor. GDC produces a superior product, and are very professional. Quality Work. How Can You Tell When You Need a New Roof? Copyright 2015 GDC. Design by Dot Kom Consulting.